Two internationally known Scandinavian chefs are headed our way – and so are their new books -- as part of a "Nordic Table Chef Series" at the American Swedish Institute (2600 Park Av., Mpls., 612-871-4907). 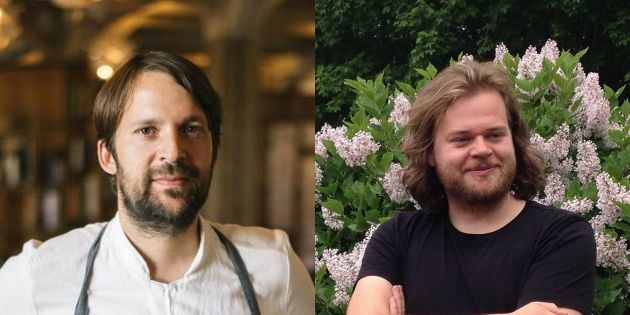 Rene Redzepi, chef/owner of Noma, in Copenhagen (above left, photo by Laura Lajh-Prijatelj), will be in town Oct. 19 at 6:30 p.m. with David Zilber (below, photo by Evan Sung), the director of the restaurant's fermentation program. Both are co-authors of the new "The Noma Guide to Fermentation." Noma has been credited with sparking the worldwide interest in Nordic cuisine, and the restaurant has been recognized four times as the world's best. Rene has been named one of Time magazine’s 100 Most Influential People in the World, He and David will talk about the fermentation techniques used at the restaurant; and the event will include a book signing and food samples. Tickets cost $48 and include a signed copy of the book. Registration is at asimn.org or call 612-871-4907. And a familiar face will be back. Magnus Nilsson (top right, photo by Lee Dean), of Faviken fame in Sweden, will return to the Twin Cities to talk about his new cookbook, “The Nordic Baking Book.” Think flatbreads and pancakes, as well as potato crackers and Danish buns that are among the 450 traditional and contemporary recipes. His last trip here, in June 2016, drew sold-out crowds at the American Swedish Institute for his photography exhibition. Magnus has been featured on the PBS series "Mind of a Chef" and the Netflix documentary series "Chef's Table." On Nov. 4, the institute will hold its “All Over Fika: A Magnus Opus for 'The Nordic Baking Book',” as local bakers, pastry chefs and coffee roasters provide treats to celebrate the traditional Swedish coffee break, called "fika." Tickets are at three levels: From 11-11:30 a.m. the VIP Experience at $95 offers a chance to mingle with Magnus, sample the baked goods and receive a signed book. From 11:30-1:30 p.m., the Fika ticket at $75 includes a taste of the baked goods and a signed book. Also during this time, the Magnus Opus ticket at $185 includes the food and four signed books from Magnus ("The Nordic Baking Book," "The Nordic Cookbook," "Faviken," and "Nordic: A Photographic Essay of Landscapes, Food and People"). And there's more. 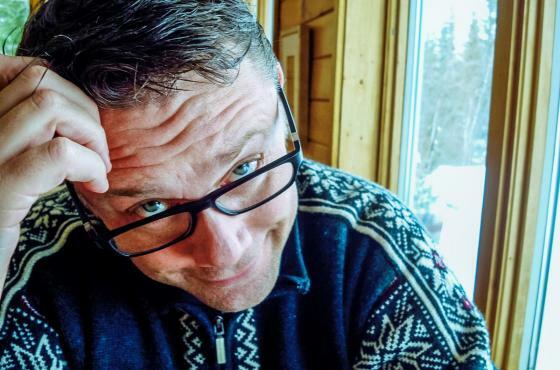 At 3:30 p.m., also on Nov. 4, Magnus will speak about his method of gathering recipes , stories and photos across the Nordic countries for his books. Tickets are $12 to $15 for the event. Registration is at asimn.org or call 612-871-4907. The "Nordic Chef Series" also includes owner/chef Scott Graden (above) of Duluth's New Scenic Cafe, who brings his own heritage to the table. Scott will speak about the Scandinavian influence in the Midwestern kitchen on Nov. 2 from 7 to 8 p.m. Cost is $5 to $10. On Nov. 3 from 10 a.m. to 5 p.m., he will offer a fast-paced class on new Nordic cuisine, with local and seasonal ingredients. Cost is $135 to $145. Sign up at asimn.org or call 612-871-4907.